About — Ian MacVicar Universal Security Intelligence Cognitive Solutions Consulting, Inc.
Ian MacVicar obtained his Doctorate in Strategic Security (DSS) in 2015 after working in intelligence and security related posts throughout his military career. He designed an Open Source Intelligence (OSINT) course while deployed in 2014, and led a team of international instructors in its delivery. He has taught intelligence history and tradecraft for several years in Nova Scotia, and he has lectured in Canada and the United Kingdom at various professional development conferences. I-MUSICS Consulting, Inc. is a logical progression based on feedback received! The multi-disciplinary I-MUSICS Consulting, Inc. team grew from Ian's networks in the military, government, emergency management, business, media communications, academic, healthcare, and athletic communities. I-MUSICS Consulting, Inc. Associates are carefully selected for their demonstrated leadership in their communities of origin, and their passion for passing on their experience in the wider security, intelligence, and protection communities in a manner which protects the client's reputation, intellectual property, and private data. Ian MacVicar draws on 30 plus years of military experience, plus a doctorate, two masters degrees, two bachelor's degrees, and two military staff colleges. Ian speaks English and French, and with practice, can return to speaking functional Russian. Ian is qualified to Incident Command System 400 level, and as a Hazardous Material Incident Commander in accordance with the National Fire Protection Agency (U.S.A.) 472 Standard of Competence for Responders. He completed RCMP Scene of Crime Officer forensics training and certain Canadian and U.S.A. qualifications in IT security. Ian also worked as an On-Site Arm Control Inspector in Eastern Europe. He commanded the first Canadian Armed Forces (CAF) Disaster Assistance Response Team (DART) deployment to Honduras in 1998 and commanded the CAF component of the National Chemical Biological Radiological Nuclear Explosives Response Team from 2002 to 2005. Ian is a Research Fellow with the Royal United Services Institute of Nova Scotia (RUSI-NS) and a member of the Security Affairs Committee. He completed the Veteran Trainers to Eradicate the use of Child Soldiers (VTECS) program in 2017, where he specialized in devising intelligence protocols to address the child soldier phenomenon. Ian has been teaching intelligence history and tradecraft for almost four years to security sector and general audiences. Ian has worked around the globe, and he draws on the expertise of networked colleagues with complementary experience in research and training teams tailored to the client needs. In his spare time he runs (a lot), does hot yoga (even more), and sings (a bit less). 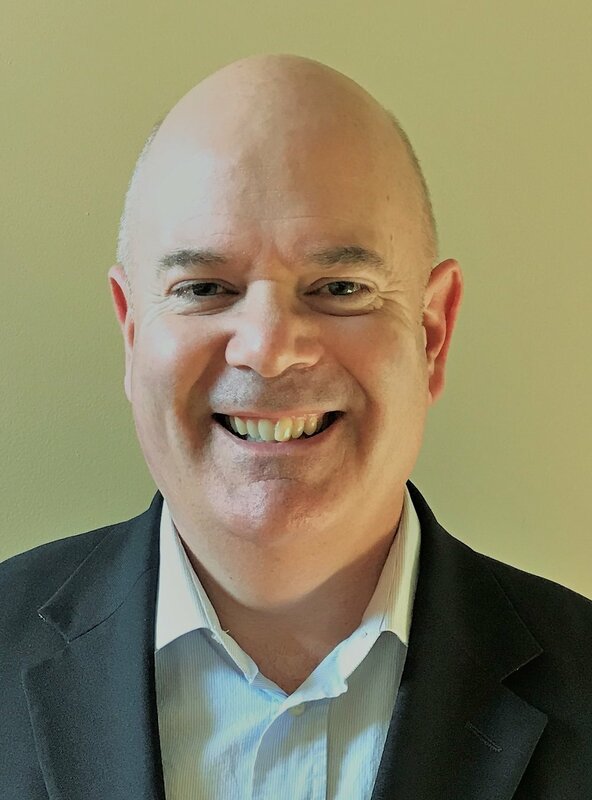 A visionary and dynamic executive leader with over 35 years experience in the Canadian Armed Forces, Ken possesses extensive leadership and management experience in a wide range of operational areas. He was instrumental in implementing and monitoring significant strategic policy changes to effect a broad range of operational improvements, particularly in domestic and international maritime security operations. He gives full priority in establishing effective collaboration among multi-disciplined teams of stakeholders and partners. A strategic thinker, he skillfully implemented creative solutions that balanced multi-million dollar budgets with limited material and personnel resources that resulted in greater operational efficiencies. Fully aware of institutional limitations and sensitive to staff/individual capacities, he is fully adept at leading transformational change in numerous dealings with stakeholders who possess divergent perspectives through a blend of respectful diplomacy and persuasion. A decisive team leader, he thrives under pressure and possesses the intellectual drive and stamina to make sound decisions under the most complex circumstances. These attributes served to catalyze the best his staff and motivate multi-disciplined teams to deliver the highest operational standards and regulatory compliance given resource challenges. Caleb has worked in an operational capacity for over 16 years in both the Canadian Armed Forces and the Royal Canadian Mounted Police. Prior to joining I-MUSICS Consulting Inc. he worked in training and recruitment for the Canadian Army. Caleb has significant experience protecting and managing sensitive infrastructure, information and personnel having worked in several hostile and austere environments at home and abroad. Caleb relies upon the skills and lessons learned as an Operations Officer in the Special Forces for all that he does. Caleb advised Parliamentary Protective Services on their security posture at Parliament Hill in the wake of a serious incident and has extensive training in active threat situations. He has also collaborated with numerous foreign militaries in both training and operations. With an appreciation for operational effectiveness that stems from his time in the Special Forces, Caleb knows how to square security requirements with tactical realities. Tim Dunne is a retired military public affairs officer, who served for 37 years. His deployments include the United Nations peacekeeping forces in Egypt, Israel, Croatia, and Bosnia Herzegovina, with NATO peace implementation forces in Kosovo, Macedonia and Albania and with NATO's preventive deployment of Patriot missiles to southern Turkey at the beginning of the Iraq war in 2002. While the Chief of Media Operations at the southern Europe headquarters for the NATO in Naples, Italy (2000 to 2004), he conducted public affairs seminars for public sector personnel in the Middle East, northern Africa, eastern and western Europe. He was also the director of communications at NATO press information centres for the Cooperative Key series of air exercises in Romania, Bulgaria and France. His major projects include the establishment of the Swissair 111 international media centre in 1998, covering the arrival of 2,400 ethnic Albanian Kosovar refugees in Nova Scotia in 1999, the founding of the DND public affairs instructional center in Ottawa, and establishing a public-sector communications instructional centre in Skopje, Macedonia. Tim's awards and recognitions include The National Award of Excellence from the Canadian Public Relations Society (1988), a citation from the Privy Council of Canada (1991), the International Association of Business Communicators Silver Leaf and Gold Quill awards (1998), and the Bulgarian Order of Loyal Service (2001). Tim continues to develop media specialists as an adjunct faculty member at Mount Saint Vincent University in Halifax, Nova Scotia, Canada. Past Chair, Security Affairs Committee, Royal United Services Institute of Nova Scotia. Raylene MacDonald is a Community Mental Health Nurse with a practice area that includes both rural and urban settings. Her practice encompasses providing consultation liaison, consultations in long term care, and community mental health assessment and follow-up. She works in collaboration with other community partners to build capacity for mental health care in the community. Raylene has extensive experience in both in-patient and community mental health and nursing education. Her academic background includes a diploma in Nursing, a Bachelor of Science in Biology and a Masters of Nursing degree. Having achieved certification from the Canadian Nurses Association in both Psychiatric Mental Health and Gerontological Nursing she has also served as a subject matter expert in both sub-specialties. Raylene has been an adjunct faculty member at Dalhousie University School of Nursing in Halifax, Nova Scotia, Canada since 2005. Marcel is an educator and IT professional with over 18 years’ experience teaching children and adults in public schools, Continuing Education and Community Colleges along with 17 years’ experience in various roles within the Information Technology and Information Management sectors. He is fluently bilingual with excellent written and oral communications skills in French and English. His career has provided him with experience working for both the private and public sectors. The corporations and government departments have benefited from his areas of expertise in the information systems and information management solutions. He has worked and conducted projects for institutions such as Canada Revenue Agency, Department of Fisheries and Oceans, Office of Small and Medium Enterprises with Public Works and Government Services Canada, Immigration, Refugees and Citizenship Canada, Halifax Regional Municipal School Board, Nova Scotia Power Corporation, Nova Scotia Government, Halifax Regional Municipality, ADP Canada and an International Engineering firm., Jacques Whitford. Marcel is well connected on social media and loves giving back to his community by volunteering for various organizations such as Chalice, Veritas Bookstore, Knights of Columbus and Serra Canada. Over his 37 year career with the Canadian Army Reserves, Marcel Boudreau acquired significant experience with tactics, administration, personnel management and the planning, conduct and assessment of training. During his tenure as Commanding Officer of the Princess Louise Fusiliers he was the chief planner for several iterations of Exercise Southbound Trooper in the USA, which required international planning, briefing Canadian and US senior military leadership, and personal control of exercise events. Mr. Boudreau taught the Army Operations Course culminating in a year as Chief Instructor for Land Force Atlantic Area, supervising other Directing Staff as well as detailed instruction, mentoring and assessment of students learning the Operational Planning Process, the estimate process, conduct of formal and informal briefings, field reconnaissance, and the detailed planning and preparation of tactical Operation Orders. Mr. Boudreau’s ended his military career as a Provincial Liaison Officer with the Canadian Forces Liaison Council, a joint military/civilian organization who work with Canadian Reservists and employers/educators of Reservists. In parallel with Mr. Boudreau’s part-time military career he enjoyed a 32 year career as a Mechanical/Aeronautical engineer supporting the Royal Canadian Air Force’s CP-140 Aurora, CH-124 Sea King and CH-149 Cormorant maritime and search and rescue aircraft fleets. In this role he was responsible for the customer coordination, development of requirements, project management, supervision of technical staff, and the detailed analysis, testing and approval of many aircraft repairs and modifications. Sanchez King acquired significant experience in the fields of security, emergency management, operational planning and liaison while a senior officer in the Canadian Armed Forces, where he was a national leader in the development of Civil-Military Cooperation (CIMIC) Psychological Operations (PSYOPS) and, Information Operations. An experienced instructor and mentor, Sanchez has extensive experience in the development and conduct of training – both in Canada and internationally. He combines his experience as a leader, planner and analyst with practical operational experience in the field, supporting operations in Afghanistan and the Middle East. After retirement from the Canadian Armed Forces, Mr. King managed the 24 hour provincial security operations centre, mobile patrol, the RCMP Detention Guard contract for Nova Scotia and the Halifax based short-term security contracts – including both commercial and Canadian Government facilities. Tim McDermott brings a wealth of experience to any project as a retired Royal Canadian Navy Senior Officer with 35 years of maritime and joint operations experience. Tim has "been there, done that," from joint and integrated operations planning, to assistance to law enforcement agencies, high profile VVIP visits, to exercise and training curriculum development, to submarine escape and rescue, to leadership in operational environments. Tim is a graduate of Royal Roads University Master of Disaster and Emergency Management program with extensive experience and training in emergency management, disaster and crisis response, exercise design and planning, training and business continuity. Tim is the Atlantic Region Secretary for the International Association of Emergency Managers. He volunteers with Humanity First Canada and Team Rubicon, as an international Disaster Response Team member. 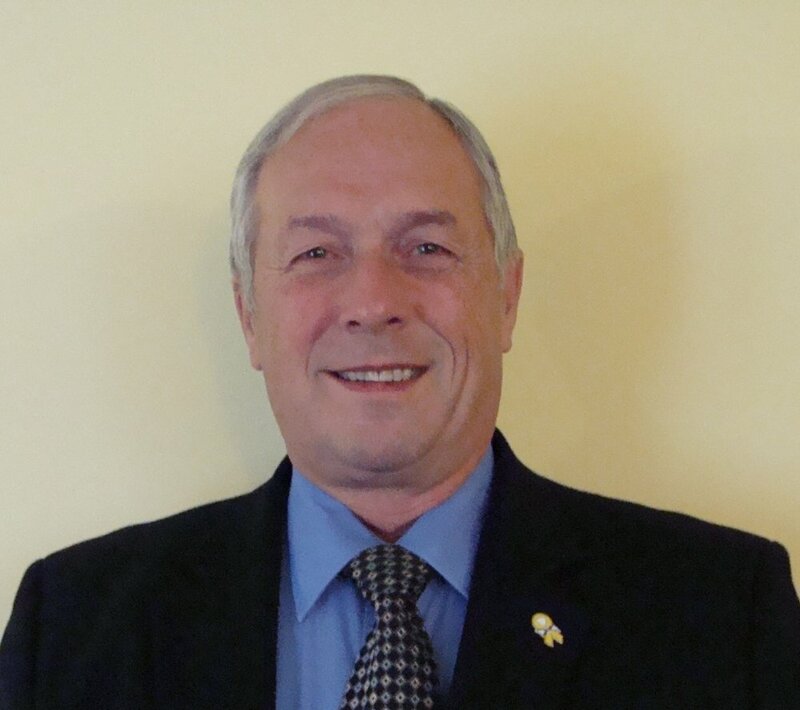 John McLearn has extensive experience in both the infantry and intelligence branches of the Canadian Armed Forces. He has served in on staff at both national and multi-National Headquarters throughout his career. Mr McLearn served seven operational tours plus numerous other deployments including, El Salvador two tours in the Middle East, one as the Chief of operations, Bosnia as the intelligence operations officer and three tours of Afghanistan, two as a senior intelligence officer, commanding intelligence assets in Kandahar city providing support to senior Canadian and American diplomats as well as support to military units inside Kandahar city and his last tour as a senior advisor to the Chief of Staff of the Directorate of Police Intelligence in Kabul, advising on long term planning for counter-intelligence operations. He currently resides in Halifax and writes on information warfare, defence and security issues. Colin Darlington was a naval operations officer in the Canadian Armed Forces for almost 42 years. He served in numerous leadership positions at sea and ashore including as Commanding Officer of a naval radio station, Executive Officer of HMCS Provider in post-9/11 operations overseas, Assistant Chief of Staff Information Management (N6) in Maritime Forces Atlantic Headquarters, Assistant Chief of Staff Exercises and Lesson-Learned (J7) in Joint Task Force Atlantic, and Base Operations Officer Halifax where he developed expertise in emergency management and built close ties with emergency planners at the federal, provincial, and municipal levels. 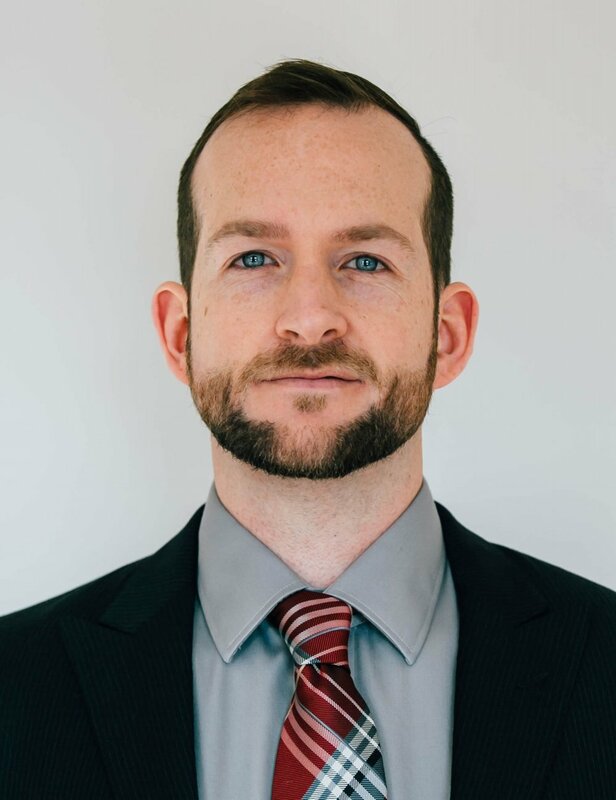 Colin also developed joint expertise teaching the Operations Planning Process to Army Reserve officers, as an instructor with the Joint Task Force Atlantic Provincial Liaison Officer Indoctrination Course, and as project staff with Defence Research & Development Canada. He is a research fellow and author of many pieces published by the Royal United Services Institute of Nova Scotia. Bruce W. McCulloch has led aerospace, energy, and mechanical engineering projects in Canada, Europe, and the Middle East. As Aerospace Engineering Manager at IMP, Bruce led a team of professional engineers through the extensive repair and unique modifications of several aircraft, which culminated in the winning of an award from the Lieutenant Governor of Nova Scotia in 2015 for “Excellence in Engineering”. Bruce has been Project Manager for several capital projects, each requiring interaction and collaboration with personnel from Engineering, Purchasing, Maintenance and Production – as well as vendors, sub-contractors, consultants and regulatory authorities. 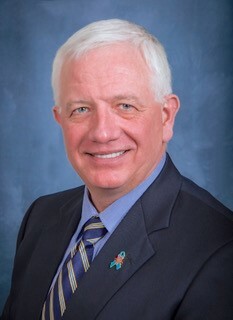 Bruce has excellent financial management skills, having directed the preparation of the multi-year strategic Facility Plan for nine buildings/hangars. Specifically, he successfully executed the expenditures of up to $12 million annual operating budget, and a $1 million annual capital budget. Over the years, Bruce has acquired a broad range of experience in management of Facilities, Finances, IT, Energy use, Engineering Design, Preventive Maintenance, Quality & Production. His high attention to detail as well as his ability to work in a fast-paced environment, has developed his knack for managing his time effectively in order to meet deadlines. Currently Bruce's focus is on energy strategies around Energy Auditing, Measurement and Verification; Facility Efficiency and Equipment Maintenance; and inspiring organizations to adopt "best practices" regarding resource utilization. Nova Voce – Nova Scotia’s men’s choir – which has 3 CDs & toured from St. John’s to Ottawa, and Italy in 2012. Ontario Ministry of Finance - Special Investigations Branch - Forensic Investigative Services. Former member of the Ontario Joint Intelligence Group.